With over twenty years of experience in Diagnostic Radiology, Dr. Moran joined WRRA in 2008. 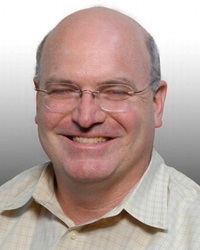 Dr. Moran previously served as Departmental Chairman of Radiology at Pottstown Memorial Medical Center (1997-2000), Director of Magnetic Resonance Imaging at Susquehanna Health System (2000-2004) and Director of Magnetic Resonance Imaging at Chestnut Hill Hospital (2004-2008). Past academic appointments include Critical Care Nursing Instructor at the Medical Center of Delaware and Musculoskeletal Imaging Instructor for the Physician Assistant program at Arcadia University. Special interests include Body Imaging, Musculoskeletal Imaging, Breast Imaging and Neuroradiology.